SAN FRANCISCO, CA--(Marketwire - October 20, 2010) - In a September article titled TV Stations' Political Ad Revenue to Soar, Mediaweek's Katy Bachman reported that, "TV stations' political revenue could rise 25 percent above 2006 levels to about $2.5 billion, according to an SNL Kagan study released this week." As political ads increase on TV, we explore how this might affect online advertising. According to ZEDO, Inc. CEO Roy de Souza, "We are currently seeing newspaper sites as the primary beneficiaries of the increase in ad spend. Political advertisers are already scrambling for ad inventory on local newspaper sites. This seems logical as political races are primarily local and newspaper sites are also local. Political advertisers have also long relied on print newspapers and local TV channels. They find it natural to now buy on the equivalent Internet property as the readers move online. In the future I believe many of these advertisers will buy in advance to prevent getting caught in this last minute scramble for online ad space." Founder of Spot-On.com, the online media company for the political advertising world, Chris Nolan agrees that this increase in political ads will positively affect the online advertising industry, and specifically online newspapers. She stated, "Political consultants know their best ad placement is on local television news shows. So it make sense that their best online news placement is with outlets that cover the most important news to voters: events happening in their own backyard." 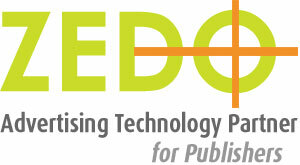 ZEDO, Inc. is a digital ad solutions company that offers products and services for a publisher's premium, self service, and remnant inventory. Products include ad network optimization, innovative rich media formats for publishers' direct sales teams, full featured ad serving, behavioral targeting data built into the ad server, an exchange-like platform for publishers to sell behavioral and DMA targeted inventory at high CPMs (see: www.zedoadnetwork.com), a self service platform to allow advertisers to buy directly from a publisher, outsourced ad ops and more. These products are integrated into one technology platform for publishers to choose from, or use seamlessly together. ZEDO has been in the internet advertising industry for over 10 years, and is the most successful independent ad server in the US. The company provides innovative solutions that boost revenues for Internet publishers.